The overwhelming majority of statements pouring in from Jewish groups around the world following the US recognition of Jerusalem as Israel’s capital were expectedly jubilant, although some liberal organizations expressed concern about its timing. “This new US policy can serve to embolden peace, as standing in opposition to those who reject a Jewish presence in Jerusalem, telling them that their rejectionism will be met with recognition,” Kantor added. “For us Jews, Jerusalem has always been and will always be the capital of the Jewish people,” said the Conference of European Rabbis. From the US, a plethora of groups lauded the announcement, and major groups such as the World Jewish Congress, AJC and the ADL were careful to emphasize that they did not believe the move should preclude peace negotiations, or that it diminishes the recognition of the Muslim and Christian connection to the city. “The World Jewish Congress fully supports the US position that a peaceful solution to the longstanding conflict must be mutual, and we have affirmed this position in our organizational resolutions and advocacy on the international stage,” said World Jewish Congress president Ronald Lauder. Rabbi Marvin Hier, founder and dean of the Simon Wiesenthal Center, applauded Trump for correcting a “69-year-old travesty,” saying, “Every nation in the world has the right to designate its own capital – except for Israel, the only democracy in the Middle East. President Trump’s decision should inspire leading nations of the world…This historic decision will ultimately serve the cause of peace and reconciliation. “Like President Harry Truman’s singular recognition of the State of Israel, President Trump’s decision to recognize Jerusalem as the capital of Israel will be a seminal moment in Jewish history,” Rabbi Hier concluded. However, not everyone was overjoyed. Jeremy Ben-Ami, founder and president of the dovish J-Street, said, “Trump’s announcement that the United States recognizes Jerusalem as the capital of Israel is an unhelpful step with no tangible benefits, only serious risks. 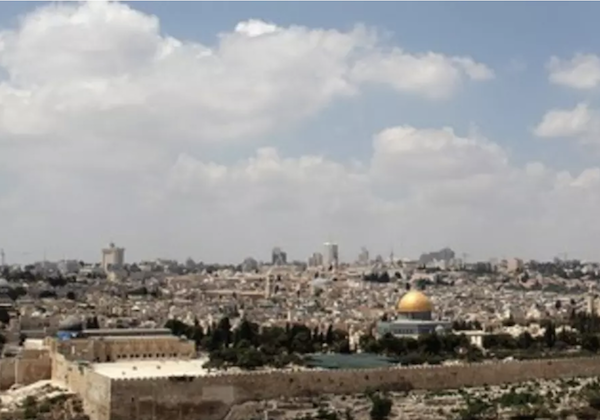 Israel’s capital is without question in Jerusalem, and it should be internationally recognized as such in the context of an agreed two-state solution that also establishes a Palestinian capital in East Jerusalem,” Ben-Ami has said ahead of the announcement. 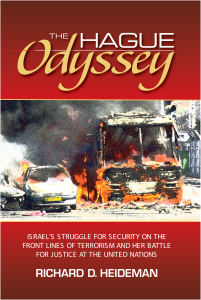 “The effect of moving the American embassy from Tel Aviv to Jerusalem or of declaring that Jerusalem is Israel’s capital prior to a negotiated agreement will be to anger key Arab allies, foment regional instability and undermine nascent US diplomatic efforts to resolve the larger conflict,” he continued, having noted that the change in policy would “dangerously break” America’s long-standing view that the final status of Jerusalem should only be determined by a peace agreement.